Tableeghi Jamaat Ameer Haji Abdul Wahab has passed away after prolonged illness early on 18th November 2018, Sunday morning. As per the profile information published on Muslims500. He was the leader of the Pakistan chapter of the Tablighi Jamaat — a transnational Islamic organization dedicated to spreading the message of religious conservatism and renewed spirituality — Hajji Abdul-Wahhab is a prominent Pakistani scholar with a significant following in South Asia and the United Kingdom. Although the organization does not have a central authority, Abdul-Wahhab has been increasingly influential in his leadership of the throngs of Muslims that follow the international movement in Pakistan and abroad. 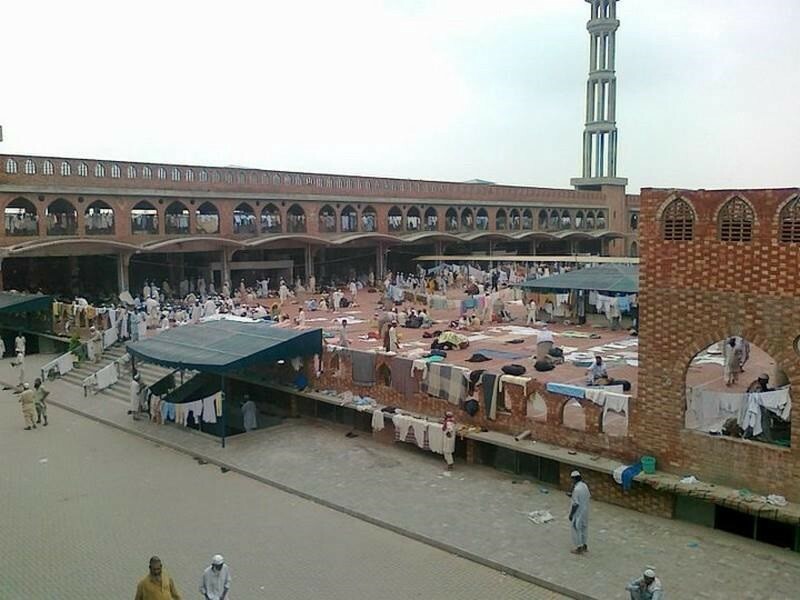 As Amir, or leader of Pakistan’s Tablighi Jamaat, Hajji Abdul-Wahhab’s influence spans globally due to the organization’s emphasis on missionary work. Considered a foremost da’ee, or inviter to the faith of Islam, Abdul-Wahhab has spoken about the need to return to the correct beliefs and practices of Islam in numerous countries and congregations. Abdul-Wahhab urges Muslims to repent for their sins and to emulate the life of the Prophet Muhammad by adhering to the Sunnah — the Prophet’s teachings and deeds. Among these is an exhortation to partake in the act of da’wa or spreading the message of the faith. The Tablighi Jamaat has gradually acquired a massive membership base owing to this core tenet. Abdul-Wahhab’s work is derived from close ties to the founder of the Tablighi Jamaat, Maulana Muhammad Ilyas Kandhelvi, and stems from the prominent Islamic institution Darul Uloom Deoband, in India, where the latter studied before establishing a following in Pakistan. Among the throngs of Pakistanis, diaspora South Asians, and others who carry the flag of the Tablighi Jamaat are notable Muslim leaders. In Pakistan alone, Abdul-Wahhab’s influence has won the allegiance of prominent politicians, actors, and athletes. Despite his influence over key Muslim leaders from various fields of social power, Abdul-Wahhab is consistent in his assertion that the organization is wholly apolitical — identifying the work of the Tablighi Jamaat as a spiritual revivalist movement. Annual gatherings in Raiwind, Pakistan draw close to 2 million people, and those in Biswa, Bangladesh attract over 3 million. In light of heightened incidences of violence by fringe Islamic militant groups, Abdul-Wahhab has publicly stated the importance of non-violence in bringing people closer to the faith of Islam. This comes after the tragic Mumbai attacks which investigations found were linked to the Pakistan-based Lashkar-e-Taiba; a militant organization Abdul-Wahhab has made a point of distancing from the Tablighi Jamaat. No one will live in this world forever, but good deeds will never exhaust.